Over the past year Europe has experienced one of the worst refugee crisis in its history: thousands of Syrian men, women and children have abandoned their land fleeing from war to seek refuge in Europe. Unfortunately, some EU countries are reacting to this serious situation with a total lack of solidarity. 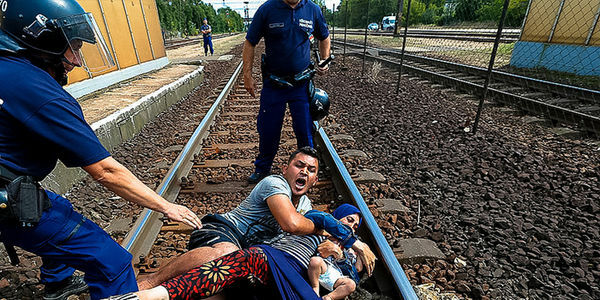 This is the case of Hungary, where the police is continually attacking and harassing refugees. Several NGOs have verified that Hungarian police, in order to kick refugees seeking to enter Europe out to Serbia, has beaten, attacked with dogs and pepper-sprayed entire families. We are talking about defenseless children, who after fleeing the horrors of a war are attacked, endangered and humiliated. The EU countries have not only a moral obligation, but also legal, to respect and make respect the shared values ​​of the Union, among which are the respect for human rights and non-discrimination, as well as the obligation to comply with European guidelines on asylum. If Hungary is constantly violating the rules of the European community, it’s time that the European Commission started taking action on this matter. Let’s not remain silent against the inhuman acts of Hungary: join me and ask the European Commission to immediately begin an urgent infringement procedure against Hungary for all its violations of European law with regard to the Syrian refugees. Immediately begin an urgent infringement procedure against Hungary for all its violations of European law with regard to the Syrian refugees.